Elected members of the Board are the policy and decision makers for the Regional District, and Regional District staff are responsible for implementing the policies established by the Board. The Administrator oversees the operation of the Regional District, including the preparation of the Regional District's annual budget, ensuring Board resolutions are implemented and bylaws enforced. 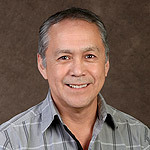 John Alan Jack is an elected Member of Council for the Huu-ay-aht First Nations (HFN). His community is a party to the Maa-nulth Final Agreement (Treaty) with the provincial and federal governments which grants the HFN a seat on the Board of Directors of the Alberni-Clayoquot Regional District (ACRD). He was first elected in 2009 and was reelected in 2011 shortly after the Effective Date of the Treaty. In addition to his representation of HFN to the ACRD, he holds the portfolios of Economic Development and Law & Policy Development. He is honoured to help represent his community's interests on the regional stage and has focused much of his effort in creating mutual understanding between local governments and aboriginal communities. In addition, he places a distinct importance on regional economic renewal and the need for neighbouring communities to work together to cultivate new opportunities for a stronger regional economy. John was recently married in October, 2013 and aside from work, he has been known to play volleyball from time to time and enjoy tabletop games when he's not busying himself on Twitter. 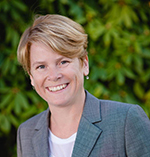 Josie Osborne has been the mayor of Tofino since 2013 and was appointed to the ACRD in 2013. Raised on Vancouver Island, she moved to Tofino in 1998 where she worked for ten years as a fisheries biologist, mostly in Nuu-chah-nulth First Nations communities. She has also worked as an NGO administrator, and she and her husband operate three small tourism-related businesses in Tofino. Josie's priorities for local government are communication and good governance, increased support for families and small business, and promoting healthy lifestyles. Josie is an avid beachcomber and can be found almost every single morning on Chesterman Beach in Tofino with her dog Pete. Mayco was raised in Ucluelet and Graduated in 1990. After a few years in Post Secondary school, at age 21, he started at a base entry job with the Coulson Group on a Helicopter logging operation. Within a short period of time Mayco moved up the ranks in the organization to be a trusted senior manager in the organization. His employment has provided exposure to many industries after 25 years of service. In 2007 he opened up a business in Ucluelet that has grown into a key service provider to the region. 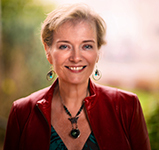 In 2014 Mayco was successful in being elected as a councillor and in 2018 as mayor of Ucluelet. He looks forward to working with the community groups and building relationships with regional governments. He has two daughters and married to another long time resident of Ucluelet. We love Ucluelet and feel truly connected to the region. The sense of community needs to be protected while growth in our area being supported. Bob Beckett is married with 3 children and retired in June of 2017 as Langford Fire Chief after 41 years in the fire service. 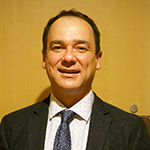 He is a graduate of Royal Roads University and past Board Chair of the YMCA - YWCA of Vancouver Island. He is a member of the Rotary Club of Westshore and enjoys working on International Aid-programs. Bob loves to spend time with his family on his boat in Bamfield and walking his Mountain Bernese dog on the various trails and beaches. 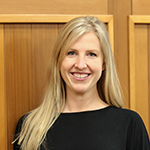 Tanya Shannon was born and raised in the Beaver Creek area of the Alberni Valley, prior to moving further out to the Beaufort Area, where she now lives with her husband and two children. She attended Gill Elementary and AW Neill Jr. Secondary Schools, before graduating from ADSS in 2005. Kel Roberts is a retired Fire Chief who served 33 years in the B.C. Fire Service. He attended UBC in Secondary Education, and is an honours graduate of BCIT in Human Resources Management. 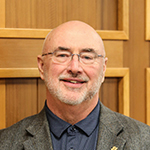 He has resided on Vancouver Island since 2006 and has been active in the local communities here, as a Director on the Errington Fire/Rescue Department, and member of the Area C Planning Commission. Kel has been coming to the West Coast since the early 70's and purchased property on Barkley Sound (Salmon Beach) in 1993, where he and his wife, sons and grandchildren now have a home and enjoy the jewel that is the West Coast. Kel offers effective and pro-active proven leadership skills and is keen to listen to, and pursue, the needs of residents, both full time and seasonal. He supports an open, collaborative and community based approach to government. Penny Cote is a long time resident of the Alberni Valley and has contributed a lifetime of volunteering in community service. She is a local business owner and manager of a Heritage Commercial/Residential building in Port Alberni and partner in a Stucco construction company with her husband Brian. Penny was first elected as the Sproat Lake Electoral Area Director in 2005 after years of working with the Sproat Lake Community Association on community safety and water quality issues. Dedicated to being an active participant on the ACRD Board of Directors, working for positive local government decision-making and action, Penny believes that the respectful collaboration within all our individual communities and every level of government is key to improving the local challenges we all face. John McNabb is a graduate of ADSS. 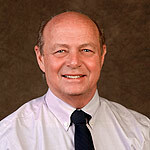 He has over 30 years of business experience in Port Alberni. John has served two terms on city council, many years on the Chamber of Commerce Board, past president of the Gryo Club, Pacific Rim Tourism, and Port Alberni Twinning Society. Interests include collector cars, auto racing, boating and choral music. John is a business owner in the City of Port Alberni and a property owner in Beaver Creek district. Dianne Bodnar moved with her parents to Port Alberni from Manitoba at 11 years old. She attended Smith Memorial School and graduated in 1961. Dianne became a Practical Nurse and worked at West Coast General Hospital for a short time before marrying and raising two children. Dianne received a certificate in Early Childhood Education from North Island College and managed a special needs preschool and daycare for 10 years at Hilton Centre. 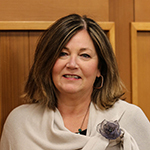 At the age of 49 Dianne returned to school and obtained a Registered Nurse degree and was group manager of 3 group homes in the Alberni Valley. Dianne then returned to school once again, trained and worked as an Infant Development Consultant. Dianne retired at 62 years of age after working as a Supportive Childcare Consultant. Dianne remarried in 2000 and travelled with her husband before he passed away. Currently Dianne volunteers at Ty Watson House, initiated and continues to organize Women's Pioneer Skills, and is Secretary for the Black Powder Re-enactment Club. Dianne rode, trained and showed horses for almost 30 years. She enjoys walking, painting and doing crafts. This is Dianne's first foray in the political arena and she looks forward to working with the people of her district and becoming a good team player. 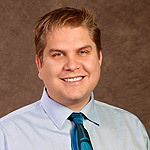 Alan McCarthy is the Yuułuʔiłʔatḥ representative to the Alberni-Clayoquot Regional District and is part of the subcommittee that deals with planning issues specific to the west coast. He was part of the team that collaborated on the tool kit, A Path Forward, a resource guide to support local governments and treaty First Nations. 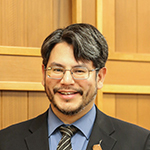 Alan serves as a member of the Yuułuʔiłʔatḥ Legislature which is the first post-treaty, self-government. Alan is responsible for overseeing the land and resources portfolio and is a member of the Executive branch of the Legislature as well. Much of his working career has been in the resource industry, in fisheries and forestry; he is currently employed as the Fisheries and Wildlife Resource Officer for the Ucluth Fisheries. Alan also serves as Secretary for the Clayoquot Biosphere Trust and is a director on the Central West Coast Forest Society. Wilfred Kelly Cootes was born in Port Alberni on September 2, 1978. He moved to Kildonan in 1983, where he stayed until 1992 when circumstances brought him back to the Alberni Valley. Wilfred has worked as a Community Support Worker since 2008. In December 2011, he began his career in politics after being elected to the Uchucklesaht Tribe Legislature in their first post-treaty election. One year into his term, Wilfred joined the Executive Branch of government as the Executive for Human Services. During that time he began attending ACRD meetings as an observer. In February 2014 he became a full voting member on the Board of Directors of the ACRD. Wilfred and his wife Erin have a large, blended family of 6 children. When he isn't working or engrossed with his family, you can find him working on small projects or gaming frantically on the computer in his office. He is also involved in community clubs such as the Young Professionals of Port Alberni. 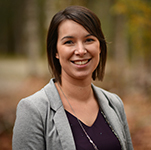 Kirsten Johnsen is an elected member of Council for the Toquaht Nation, located in Barkley Sound. Kirsten sits as Chairperson for Council and Executive. She grew up in Ucluelet, BC. Since graduating from USS in 1990, she moved to the Lower Mainland for several employment and education opportunities. 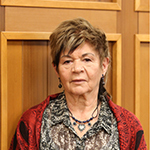 She returned to Ucluelet in 2006 to work for the Toquaht Nation as the Communications Coordinator in preparation for the ratification of the Maa-nulth First Nations Final Agreement (Treaty). During the lead-up to ratification, she was very active in the development of all Laws and Regulations that came into force on the effective date, April 1, 2011. 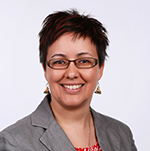 She is currently the Law Clerk and Office Administrator for the Toquaht Nation Administration. 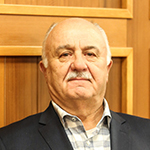 Councilor for the City of Port Alberni November 2001 to 2014; successfully re-elected 2018. Worked co-operatively with various City Councilors, Regional District Directors, Provincial Boards and Mayors. Proven leadership skills, and government connections; well respected amongst her peers across the province. Woman of Distinction Award presented by Port Alberni Women's Resource Centre in 2001. 'Queen Elizabeth II Diamond Jubilee Medal' for exemplary efforts for making her community a great place to live, and for her accomplishments as a community leader. The Medal recognizes the important role municipalities and their elected leaders play in ensuring their prosperity and a high quality of life. Solid entrepreneurial skills and a strong supporter of local arts, Cindy ran a promotional company for fifteen years, bringing high profile entertainers and music acts to Port Alberni, with all proceeds benefiting local non-profit societies. Cindy is also an auctioneer, a skill she donates to help organizations on the island raise money, something she has been doing since the age of ten. Cindy has been assigned to many successful local and regional initiatives during her tenure and is most noted for recent responsibilities and skills in planning, health and protective services.